In paperless manufacturing, traditional paper-based records and travelers give to electronic records. ERP systems provide information such as bills of materials and process plans to the shop floor, so that operators manage production tasks in preset sequences to ensure schedules adhere to up-to-date customer-priority rankings and due dates. Need to view the latest product-design drawings and related information? All of that and more is readily available at workcell terminals—real time and up to date. 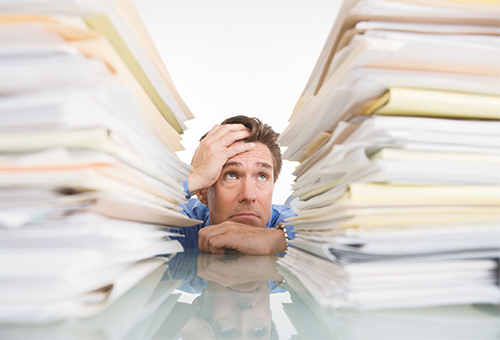 You can’t create a much more visible, open and error-resistant process than when you go paperless. Nonconformance issues disappear, scrap and rework dwindle and customer complaints become extinct. 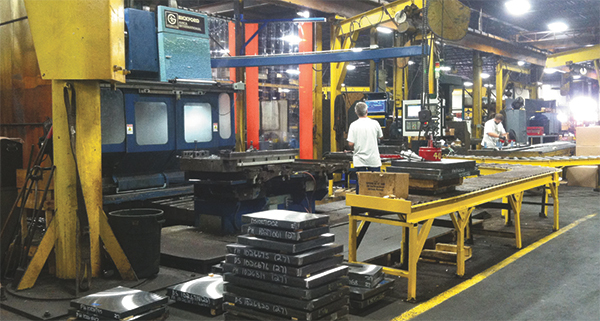 Surrounded by a stack of die sets staged for machining, a Superior Die Set operator accesses his ERP screen to view the specific machining requirements for the job at hand. Witness Superior Die Set Corp., Oak Creek, WI, a die-set designer and builder with core competencies in machining, grinding, welding and related processes. Since 2000 the firm has managed production virtually paper-free: “95 to 98 percent of the jobs we enter, as we’re entering them into the system it’s automatically building the job structure,” says company president Frank Janiszewski. With an average of 2500 work orders in its scheduling system at any given time, the value of electronic scheduling—automatic building of bills of materials, routings and process requirements—can’t be overstated. 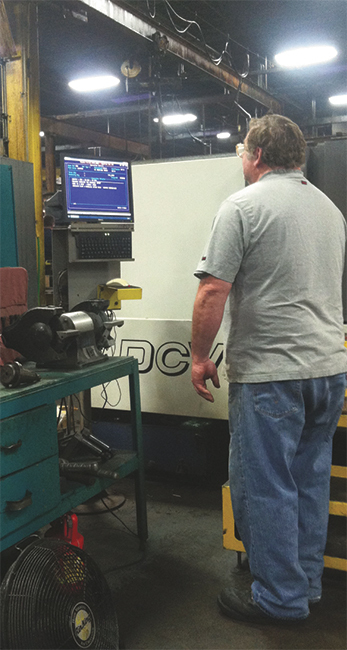 A CNC operator accesses the firm’s ERP software on the plant floor to view CAD files for the work order and, when needed, verify machining geometry. To transition to paperless, Superior Die rode on the back of Epicor’s Avante ERP software, which now resides on Superior’s virtualized servers. It selected the software, after looking at numerous options, for its ability to let Superior’s programmers construct its own unique, custom configurators. Janiszewski explains. Submitted by Christine Hansen, product marketing manager, Epicor Software Corp.
You might be surprised at the amount of paperwork generated for that one order. Thanks to technology, it seems we need more printouts and amass more paperwork of product changes than previous generations. A practical challenge you might consider is to follow an order from the time it’s placed through to shipment and trace the amount of paper used internally amongst employees, with the customer and with suppliers. So now, let’s explore three key areas where going paperless can translate to leaner operations with reduced paper-based processes. Let’s look at the task of bringing new products to market and managing product changes, the latter being perhaps the most common activity influenced by paperless initiatives. The simple business process of requesting a product change, approving the change request, communicating the change to engineering, engineering making the change and delivering the updates and communicating the change to purchasing and the shop floor all can be heavily influenced by paperless processes. For example, what happens when the change request becomes a misplaced piece of paper, or worse, communication to the shop floor is incomplete? Technologies are available today to support these processes, both within and outside of the organization. Many businesses use product-lifecycle management systems to manage the documentation (yes, paper) and processes in developing the market requirements for these new products, alongside the engineering workload, CAD files, material specifications and, yes, more paperwork needed not only to prototype and bring the product to market, but fit the aftermarket requirements. These systems not only manage the electronic documents, they directly integrate with CAD for a seamless handoff from engineering that drives a single “version of the truth” down to the production floor. For businesses on the receiving end of product changes, processes are needed to support the receipt of product changes and communicate them to the shop floor quickly—a great benefit from deploying paperless processes in the business. For example, many design changes occur electronically at our customers’ businesses and the flow of these changes comes into the business from the customer via an electronic document—yes, an e-mail. Once that electronic document is received, what do we do with it? WE PRINT IT. There has to be a better , and technology can help. Manufacturing ERP systems that support product-data management and document management can receive the data electronically and link it to a production job so that operators on the plant floor can log in and see the new drawing, material certifications and other documentation that flows into production. One efficient process many businesses not only seek but are being dragged into is to offer and receive electronic documents from customers and suppliers. If you aren’t sending electronic invoices and if you haven’t received an electronic AP invoice lately, it might be time to check your inbox. More and more businesses are reducing lead time in moving these documents to improve cash flow, eliminate waste in the office and be green. Enterprise content-management systems support and control the flow of documents to and from your business electronically. As an example, you can print a batch of invoices with a single click and the system picks up the print run from a virtual printer that applies logic. For example, customer A would like its invoice printed and mailed, customer B prefers an e-mail and customer C wants xml. On the plant floor, every work station houses a terminal that operators use for real-time labor reporting. They can access work-order numbers and view their specific work instructions for the job at hand when they log in. Then, when they log out of the job the software informs them of the next operation in the process. One software plug-in Janiszewski particularly appreciates is an e-scheduling routine. “Because things change so often and rapidly here, we rely heavily on the ability of the e-scheduler to prioritize orders based on several parameters. We actually reschedule our entire backlog three times per day, reshuffling orders based on the logic built into the system. On the front end, Janiszewski says the payback with paperless manufacturing can be measured in terms of responsiveness. “We’re all about speed,” he says, “and the race doesn’t just start when we cut the first piece of steel, but when we receive an RFQ. Our goal is same-day turnaround of quotes, viewing quoting as a slice of lead time. If a customer has to wait two or three days for a quote and our lead time on a made-to-order product is four working days, we’re behind the eight ball. “So we measure success based on quote turnaround,” continues Janiszew-ski. “The ERP software time-stamps everything, and I receive daily reports on our RFQ volume and our responsiveness. We’re same-day quoting 85 to 90 percent of the time, realizing that some projects are too complex to quote in just a few hours. It’s safe to say that we’re quoting and processing significantly more orders than ever before, without adding labor and—this is critical—with less supervision required. We’re not out there chasing routers and diagnosing mistakes. Our material coordinators know where jobs are and where they have to go, without a supervisor watching over them. Material flow is smooth and optimized. See also: Superior Die Set Corp.